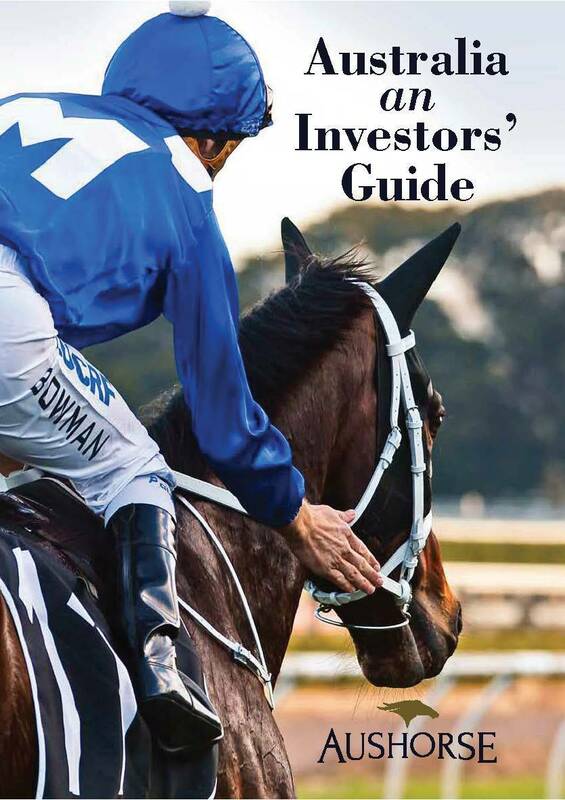 Aushorse's 2019 Investors Guide is out now. Did you know there is more prizemoney on offer in Australia than Great Britain, France and Ireland COMBINED? That Australia’s top colts are more affordable than in Europe? That 63% of Group One winners in Australia were offered for sale before their win(s), compared to just 39% in Europe? That one in every 244 Australians own a share in a racehorse? Or that prizemoney in Australia has grown by a whopping 84% in the last 10 years? To fully illustrate the benefits of breeding, racing and/or buying an Australian-bred racehorse, Aushorse has just released a detailed ‘Investors’ Guide’ which is either available online or, for those attending this week’s Inglis Australian Easter Yearling Sale, you can grab a hard copy at the Aushorse marquee. As statistics clearly indicate, the growth of the local industry has been nothing short of remarkable and directly corresponds with the increased presence from international buyers at annual sales like Easter. “It just makes good sense for overseas investors,” Aushorse CEO, Tom Reilly, explains. “For instance, figures have proven that it’s cheaper to buy a top colt here than other major regions, yet our freshman stallions – on average – are standing for higher fees than say North America or Europe. What’s more, Australia has a higher clearance rate (88%) than Europe or the USA, which means you can shop with confidence. “And it’s not all about the ‘boys’ either. The purchase price of Group One winning fillies or maiden mares off the track averages out to around $946,000 in Australia, compared to $3.53 million in Europe. “Taking it a step further, North America’s Eclipse Thoroughbreds purchased a Pierro filly for $200,000 at Easter in 2016 – their first yearling buy in Australia – and 18 months later she won the Group One VRC Oaks. Given that Winx has been the highest (or joint highest) rated horse in the world since March 2018 – and ably assisted in recent years by Black Caviar, Merchant Navy, Chautauqua et al – the Australian-bred needs little introduction to the astute buyer, but the quality of racing on the homefront speaks volumes as well: last year, 31 of the world’s 100 best races were staged in Australia. What’s more, if there is two areas where Australia really stands out, it’s prizemoney and, as a natural progression, ownership. “Prizemoney has increased by 84% in the last 10 years,” Reilly adds. “Think about that for a minute … 84%! In the United Kingdom its sits at 54%, while in the USA, it’s dropped – actually dropped – by 4%. “There are some 55 races worth a million dollars or more in Australia and, last season, 32 individual horses won over a million. And it’s growing all the time too: just in the last couple of years we’ve seen the emergence of the now $14 million The Everest, Racing Victoria staged the inaugural $5 million All-Star Mile last month, while Rosehill plays host to the new $7.5 million Golden Eagle in November. “As for participation, there are 101,402 people who own a share in a racehorse here in Australia … that’s one in every 244 people, or to put it another way, over 40 people for every 10,000. It’s 1.2 people per 10,000 by comparison in the United States. To access the Investors Guide, click here.